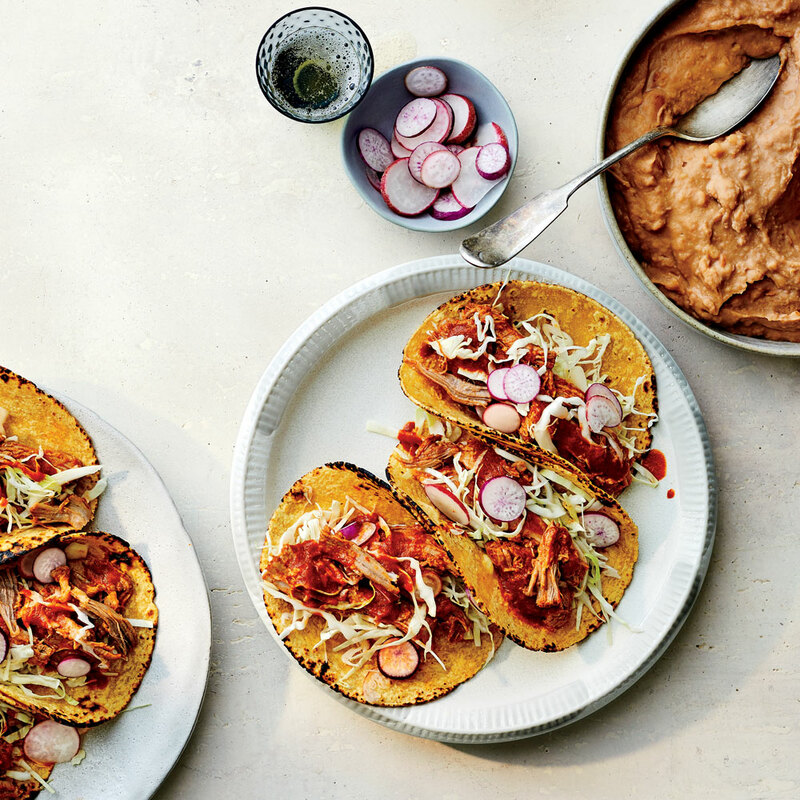 Salt-cured sea bass tostadas, shrimp and masa dumplings in a tomato broth: these are the vibrant dishes of Mexico’s nearly 6,000 miles of coastline, where tropical fruit and fresh seafood rule. 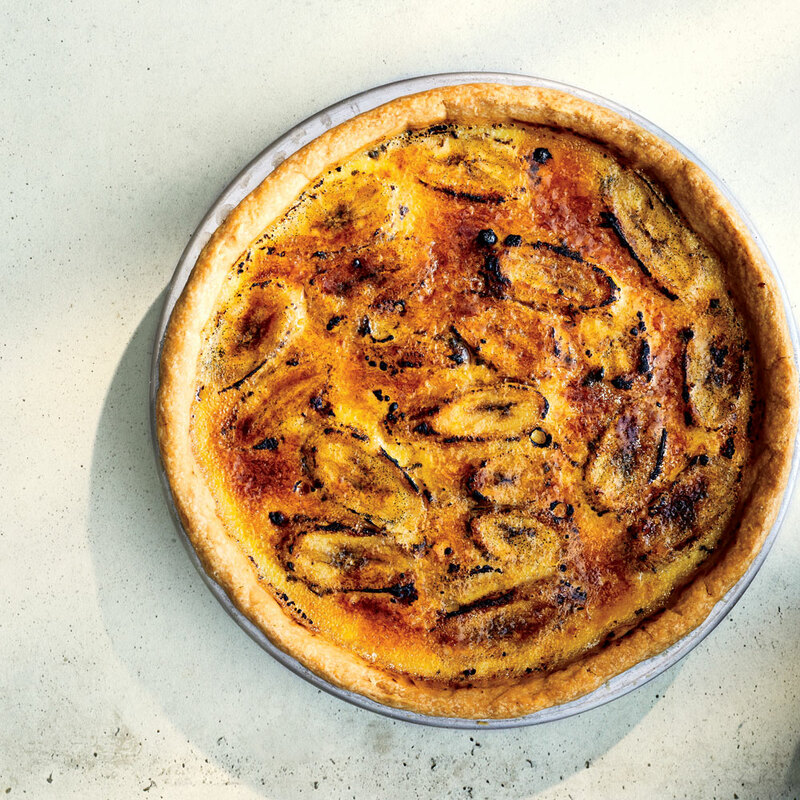 Javier Cabral and Paola Briseño González show us how to bring the coastal classics home. This bowl from the Gulf state of Veracruz stands with the great seafood stews of the world. The broth, fortified with shrimp shells, draws its deeply satisfying flavors from charred tomatoes and smoky chipotle chiles. Adding chochoyotes, chewy masa dumplings, rounds out the dish. 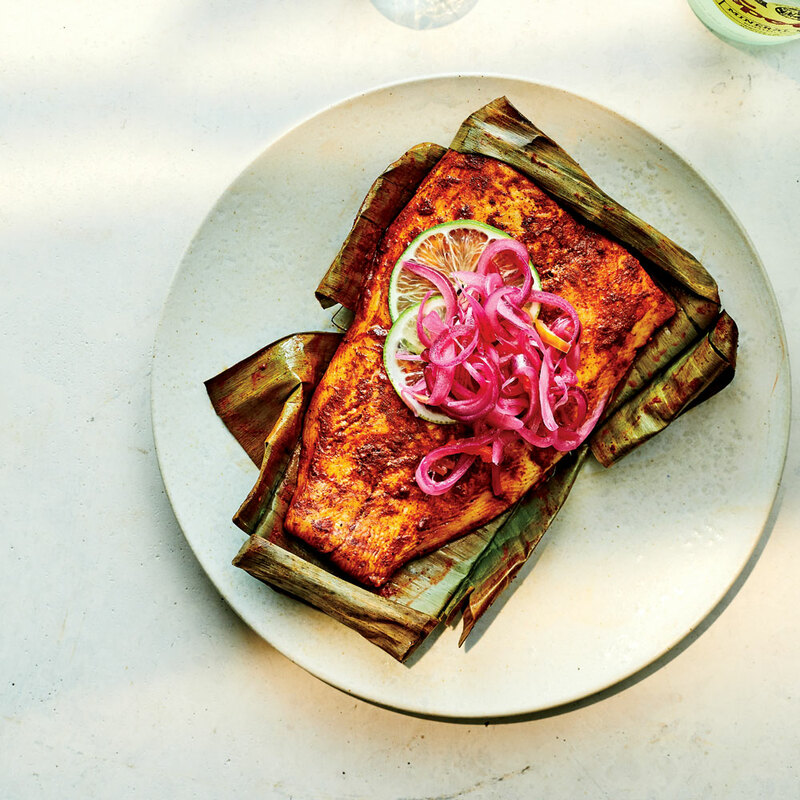 Something beautiful happens when protein is smeared with citrusy achiote paste, wrapped in banana leaves, and roasted. Cochinita pibil is famously prepared this way, and throughout Quintana Roo and Yucatán, fish gets the same treatment. Tikin xic translates to “dry fish” in Mayan—the dish used to be made with dried fish. Today’s versions are anything but dry, especially when you use fish with a high oil content, like black cod. 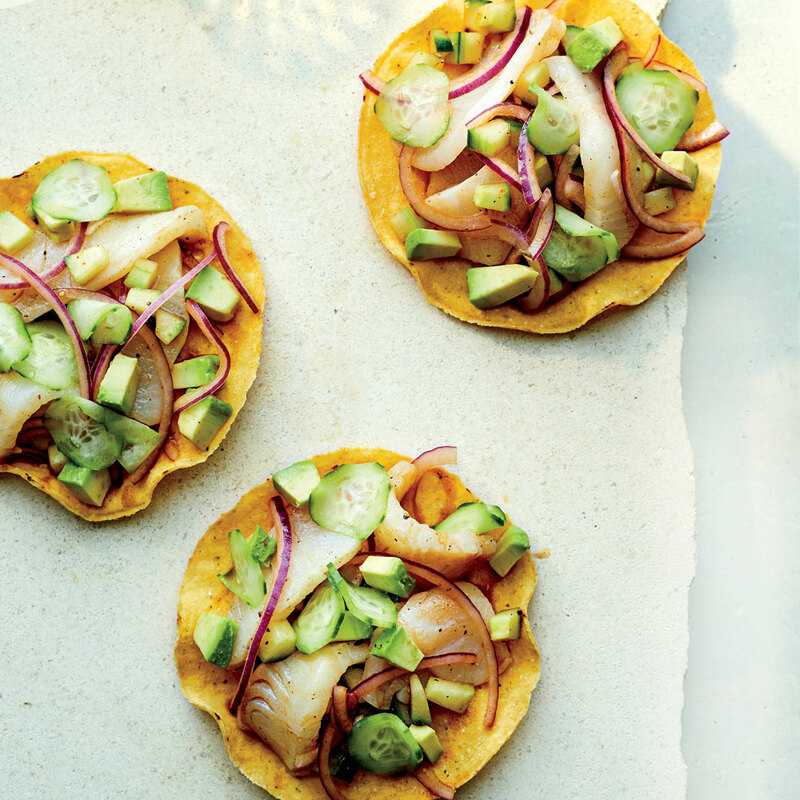 Local lore has it that this ceviche variation from Sinaloa, in northwest Mexico, was originally adapted by inland communities that loved scallops but couldn’t always get them. Applying a salt-and-ice brine to the more plentiful sea bass gives the fish a creamy texture that mimics the sweet flesh of scallops. But the secret sauce here is Sinaloa’s utterly addicting salsa negra, made with soy sauce and fresh lime juice. You’ll want to pour it over everything. While hanging in the muggy, tropical heat of Colima, Mexico’s coconut capital, nothing will refresh you faster than a cup of chilled tuba. It is the official beverage of the state and is made from the sap of the coconut palm tree. And when it sits out and ferments, it turns into vinegar, which locals blend with dried chiles and use to braise pork. Enter Colima’s famous tatemado de cerdo, which is so good that it just might dethrone your love for cochinita pibil. It makes for an excellent special-occasion dish to make for a big group and, like many other Mexican braises, tastes even better the next day. What’s better than sipping a good paloma while relaxing to the sound of sapphire-blue waves on a secluded beach only reachable by boat? How about a freshly baked pie made with fruit gathered just a few hundred feet away? Yelapa, a tiny beach community about 45 minutes away from Puerto Vallarta via water taxi, is known for its tropical pies. The sturdy crust is salted and shortbread-like because the pie has always been eaten while sunbathing, with no utensils around. Take big bites—it’ll taste better.